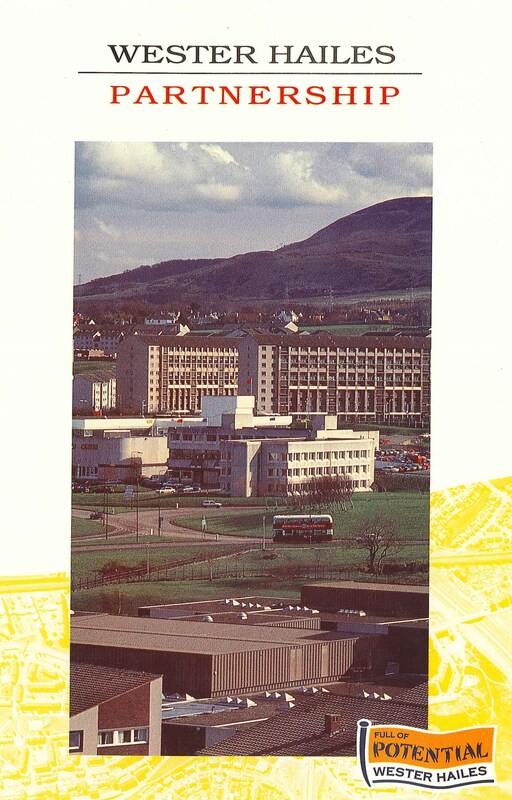 Early photos of Wester Hailes are dominated by the high rise blocks separated by wide seas of concrete and tarmac. The green spaces that were included were certainly spacious but were not usable public space and sometimes seemed barren and arbitrary in design. 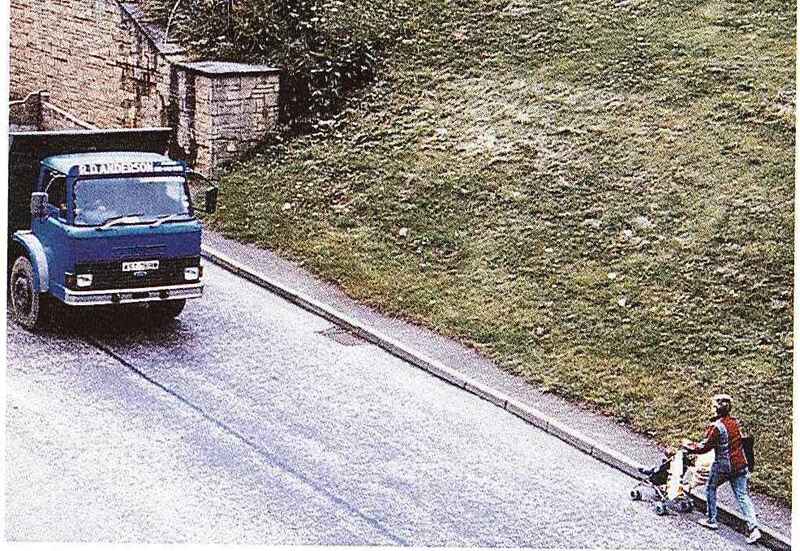 Efforts to keep pedestrians away from traffic without consulting on where residents actually needed pedestrian routes simply resulted in people using the grass verges or crossing the roads at sometimes dangerous points rather than following official paths. Over the last few weeks we’ve been looking at the work and legacy of the Wester Hailes Partnership Group which oversaw an ambitious programme of development for the area. Part of its strategy included improving local green spaces and addressing a number of environmental issues affecting the area including pedestrian routes, roadside footpaths and increasing the number of trees and plants in the area. In 1990 the Sentinel devoted a double page spread to the Greenway Improvement Scheme. Forming the pedestrian “backbone” of Wester Hailes, it was supposed to be a 20th century Royal Mile for the area, linking housing with local facilities and services. But lack of investment and minimal maintenance had led to the route being underused due to concerns about safety. Public consultation had shown that the top priorities for improvement were lighting, repaving and new planting. Plans for upgrading the route included new junctions and focal points as well as redesigning the paths. This scheme was one of a number of environmental projects that were aimed at improving the area in particular through creating more distinctive accessible green spaces that linked neighbourhoods rather than separated them. The Wester Hailes Land Use Unit reported on progress in the 1992 Representative Council Annual Report. Environmental improvements included roadside and boundary planting aimed at “greening” Wester Hailes and developing a plan for roadside footpaths. Over the next couple of years an extensive planting programme was put into action resulting in thousands of additional plants and trees for the area. The Land Use Unit also developed a proposal to employ an Urban Environmental Ranger. This proposal was submitted to the Urban Aid panel with the application being successful. This project was the first of its kind with the Ranger engaged in a variety of projects with local children and young people. The Ranger worked with schools and neighbourhood councils encouraging local residents to become involved in litter picking, planting and other environmentally focused projects. A Wildlife Club for children was also established for children to learn more about the environment through games and activities. 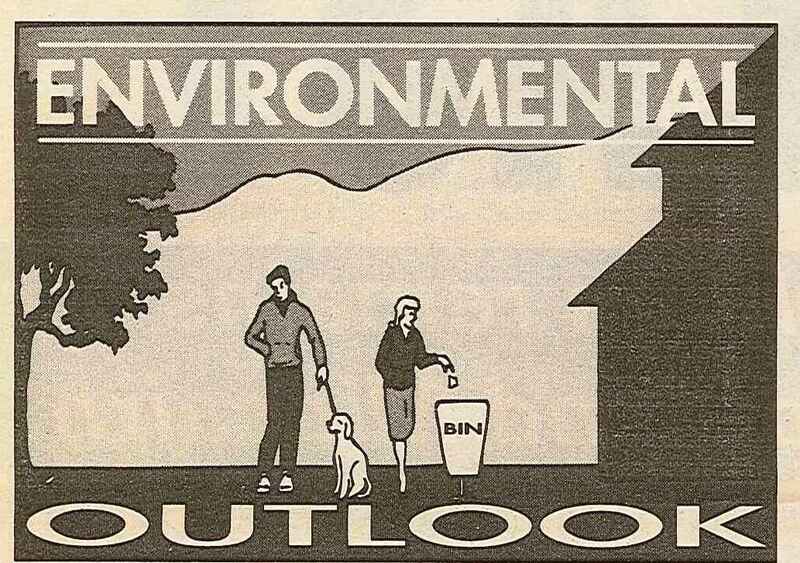 A regular column Environmental Outlook written by the Ranger featured in the Sentinel for several years during the 1990s. The trees planted back in the early 1990s in Wester Hailes are playing their part in reducing pollution. Hopefully, they will be able to carry on this role for a long time yet as well as bringing a wealth of other environmental benefits to the community. In 1993 the Environment Outlook column explained that many of the newly planted trees were native Scottish species, trees that would have been growing in the area if the land had not been cleared. As shown below, the column gave information about the trees and some of the folklore associated with them. Categories: history, people | Tags: community, environment, regeneration, Wester Hailes | Permalink. Have you ever taken a closer look at the stone monument outside Murrayburn House? It was originally erected in 1972 to mark the start of the building of the Wester Hailes Centre. When the area was refurbished to create the town centre area and Plaza, the stone was badly damaged. Fortunately, it was rescued when it became apparent that this was an important part of the history of Wester Hailes. The sculptor Kenny Munro was commissioned to design a new monument that used what remained of the old. He used brass strapping to fix the pieces together, creating a saltire across the front. 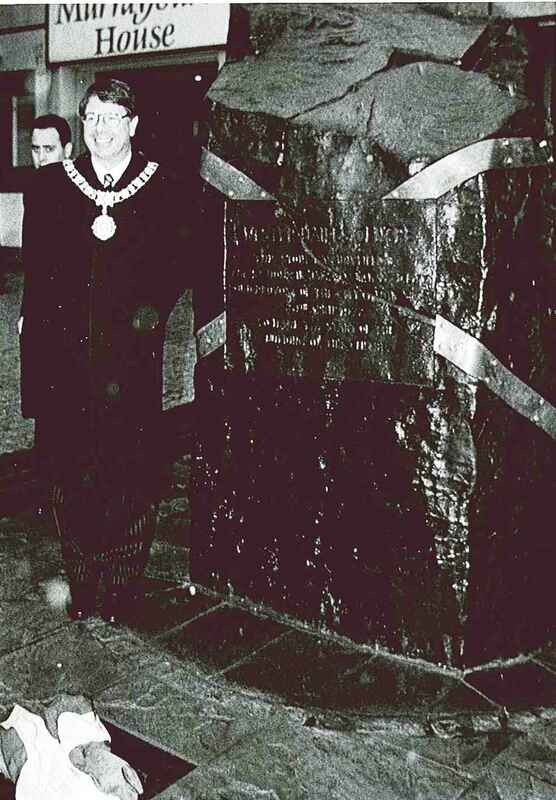 The stone was then unveiled by Eric Milligan, Lord Provost as part of the official opening of the new Civic Square. On one of the bands you will see the inscription “Wester Hailes Shopping Centre April 1972, and on the other you will see “West Side Plaza December 1996”. The damage caused to the stone could be seen in the longer term as resulting in something more symbolic being created, connecting the old to the new and showing that regeneration doesn’t mean throwing out all that went before. You can read the story as reported in the Sentinel by clicking here on January 1997. Categories: photographs | Tags: environment, history, regeneration, Wester Hailes | Permalink. 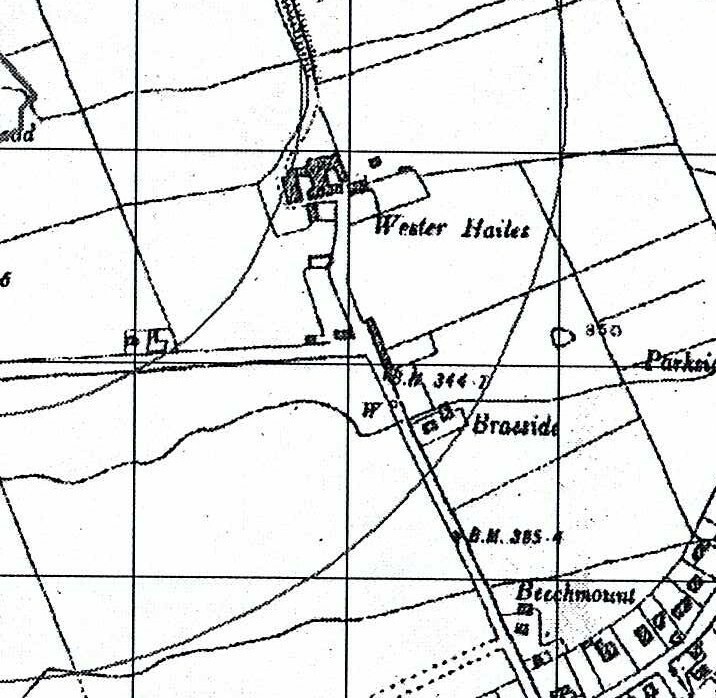 It’s well known that Wester Hailes was built on farmland that had remained unchanged for centuries before the city of Edinburgh finally encroached upon it. Even in the 1960s, when building was starting to profoundly change the landscape, it was possible to see what the area had originally looked like. We had someone looking for photos of the old Wester Hailes farm contact us via the Face book page last week to ask if we had photos of the farm that we could upload. By the time the Sentinel came into being, the farm was long gone so there are no photos like this in the archive. But we have come across a site Sixties Edinburgh, which provides several great pictures of the farm. You can see the photos here at Wester Hailes Farm . Categories: history | Tags: environment, maps, Wester Hailes | Permalink. COMMUNITY COUNCIL’S ACTION PAYS OFF! Last month we reported that Wester Hailes Community Council had taken the lead in re-opening negotiations with AWG, the owners of Westside Plaza, to make more space available to improve the proposed pedestrian link between the new Healthy Living Centre and the Plaza. Now it looks like this has paid off big time. The Community Council had written to AWG to raise the issue and ask the company to consider allowing more of the Plaza car park to be set aside in order to accommodate an extended link which would be safer and more user friendly for those accessing the Healthy Living Centre on foot from the main shopping area. There was a quick and positive response from AWG and a meeting was held between representatives of the company and the Community Council to take the matter forward. As a result of this, we understand, AWG are now prepared to grant permission for a larger area of the car park to be utilised although the exact details are still to be worked out. Not only that, as a direct result of a public meeting requested by the Community Council, it also looks like the extra funding needed to construct this extension could be about to be put in place by the City Council. Responding to a request from the Community Council, a joint meeting of the two local Neighbourhood Partnerships was held recently and it was clear from the debate which took place that people felt the existing plan was inadequate to meet the needs of the community. The City Council has taken the strength of local feeling on board and the matter will be discussed by its Finance and Resources Committee on July 31st with a view to agreeing how this additional work can be financed. Hopefully the next time we report on this it will be to say that the extended and the improved link is definitely going ahead. But, whatever the outcome, the Community Council has demonstrated over the last couple of months just how influential a committed local group can be when it comes to having a positive impact on big issues affecting the community. Categories: people | Tags: Activism, community, Design, environment, groups, Harvesters Way, people | Permalink.